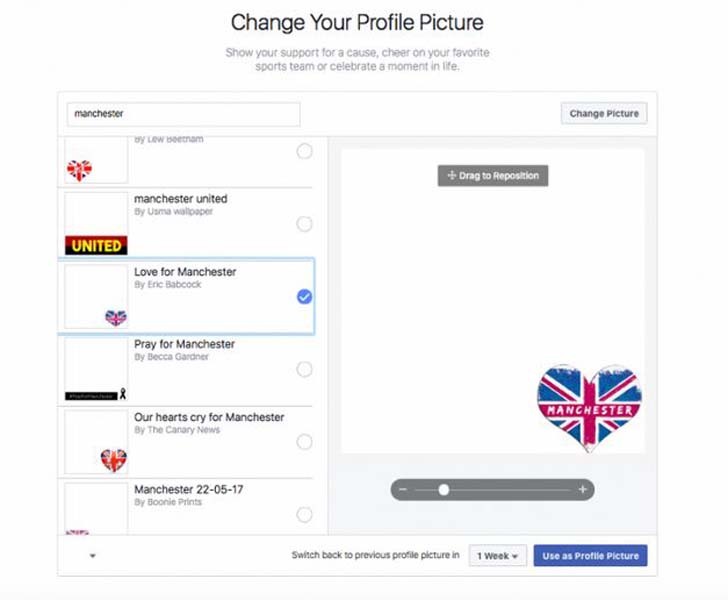 Facebook users are adding a Manchester logo to their profile photos as a show of solidarity. Here's how to change your photo. 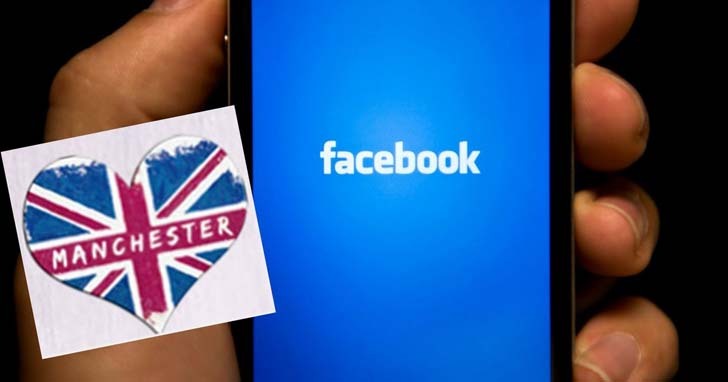 People take to Facebook to mark themselves safe after a tragedy, but also to show solidarity with those who are affected. This was true after the Paris attacks in 2015, when Facebook launched a special French flag filter that users could place over their existing profile photos. And it’s true now, after last night’s horrific terror attack at an Ariana Grande concert in Manchester, England. [post_ads]People have already started adding a Manchester-themed frame to their Facebook profile photo. There are variations of the frame, but many depict a heart in the bottom right-hand corner with the Union Flag inside and “Manchester” written on top. To add a frame to your photo as a small gesture of unity, head here. In the search bar, type in “Manchester” and scroll down to see the multiple heart options. Pick one, and position it wherever you would like on your photo. You can also search for “United Kingdom” to place the Union Flag on top of your photo. You can also donate to the crowdfunding campaign set up by the Manchester Evening News here. The page includes ways to share the campaign on Facebook and also a place to leave messages of support.